Negotiating a balanced modern diet isn't always easy, especially with so much expert opinion and conflicting advice around on food for health, not to mention the 'immoral' maze of food we have to navigate when it comes to food shopping or eating out. Yet all it takes is a little knowledge and a few small adjustments to making better food choices, like boosting our intake of fruit and vegetables, whether the incentive is health, weight loss or simply seeking guidance on achieving a more balanced diet. 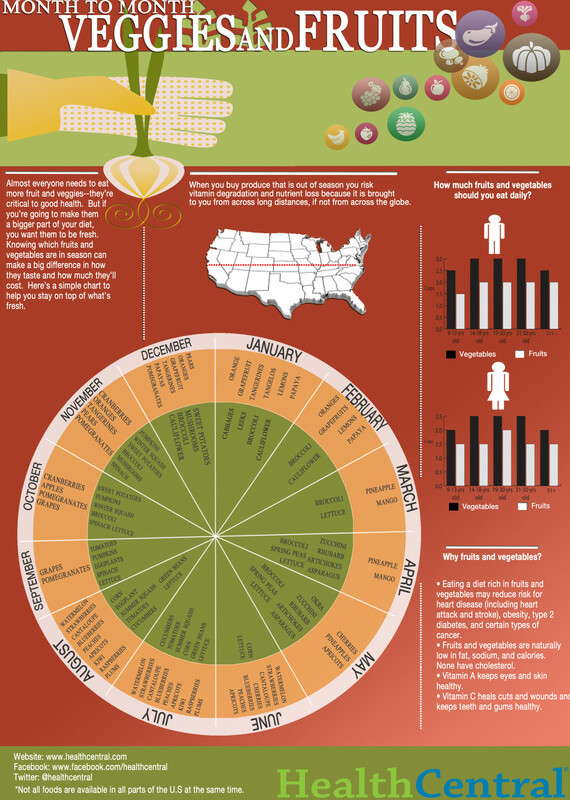 From upping your iron intake to getting a healthier office lunch here are a series of food infographics on food for health where you're bound to find out why you crave cheese or why you should be eating more blueberries, down to how to cure that cough the natural way. We've all had that moment when we've had an unstoppable desire for that piece of cheese or something else that we know isn't good for us. Here are 13 ways to avoid some of the most common cravings. If you are trying to follow a gluten–free diet you'll probably want to know some of the less obvious foods and drinks where gluten is found, which can be surprising; from cold cuts to flavoured tea. Take a look and see if you're clued up on foods where gluten hides. 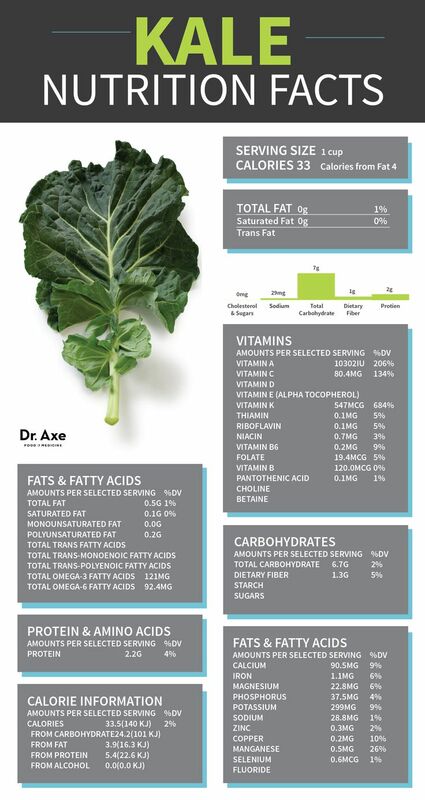 While news of kale's superfood status has died down a little, there's no denying that this is a vegetable with strong health credentials. Here's everything you need to know about kale, as if you still needed convincing. If you're going for a gleaming smile the natural way there are a surprising number of foods that could help you achieve those pearly whites without the help of expensive treatments. See what oranges and broccoli can do for those chompers. We're always being told to up our of intake fruit and veg, and of course the most economical and flavourful way to do that is by eating what's in season. Here's what to eat and when in the USA. Most of us enjoy tucking into some home–baked goods, appreciating that feel good factor. But if you've ever actually baked a cake yourself you'll truly appreciate the amount of fat that goes into it. No one's saying you have to give up baking, but here are some options to try experimenting with some healthier baking substitutions. When it comes to lunch on the go or a snatched office lunch break it's easy to come unstuck and make unhealthy choices. Here's a useful guide to packed lunches that will make you the envy of the office. Looking to cure a cough the natural way? Turn to your arsenal of kitchen herbs and reach for the rosemary. 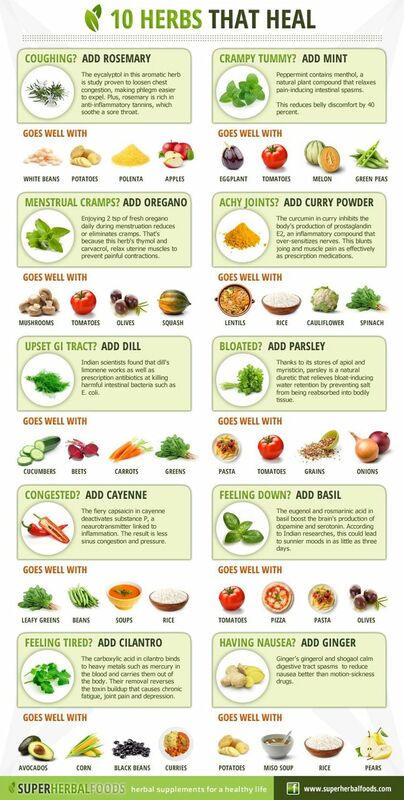 Whatever the ailment there are more cures than you might imagine via the natural path. 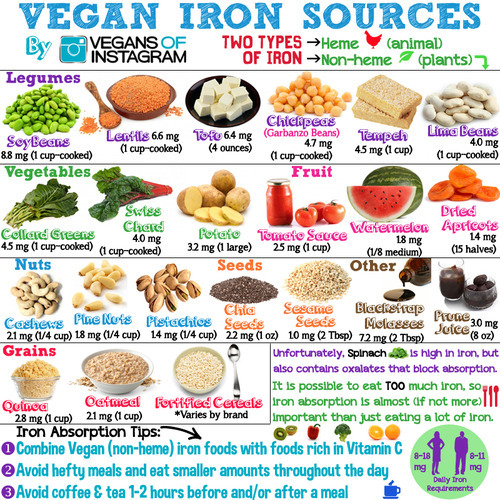 If you're already vegan or planning on going vegan you'll be looking to get your all important dose of iron from non–animal sources. Looking to plant–based solutions there are plenty of vegan options available out there, from chia seeds to quinoa. A restless nights sleep is never conducive to a productive day's work the following day. While you might avoid the common mistake of coffee before bed, had you considered tomatoes or broccoli as getting in the way of a good nights sleep? Take a look at some other sleepless night culprits. With modern day portion sizes, eating out can be particularly difficult when it comes to understanding how much food we really need. Fortunately, by using our hands as measures we have an instant guide as to how much we should be eating, like a palm–size piece of protein.